You may, or may not know I love to forage! Well, I love to walk and foraging just seemed another of many benefits of being outside walking. Plus, then you have some food or remedies for free! What’s not to love about that? Now that spring has sprung here in Portugal (my first spring here) I am pleased to see some of my old faithful wild foods and remedies from the UK popping up here too. And one of these which appears to be abundant in both countries is Cleavers, or as we used to call it as kids, sticky willy! Just pick and washed a few stems (i collect them every morning on my dog walk this time of year) and then crunch them in your hands and add to a tea-pot with boiling water. I find i can usually refill the tea-pot 3 or 4 times as well. So a little goes a long way and it’s free if you care to forage for it anyway! Cleavers is not only super refreshing and yummy. But, it’s a lymphatic healer, diuretic, blood cleanser, cystitis helper, skin healer and also good for ulcers, glands, lumps in the breasts, boils, abscesses, tumors, decongestant, detoxing and anti-inflammatory. I love drinking this as a hot or cold drink this time of year as it’s refreshing and you ca practically feel it helping and healing as it makes it’s way through the body. Why not try it and give it a go? It’s couldn’t be simpler, freer and more abundant! 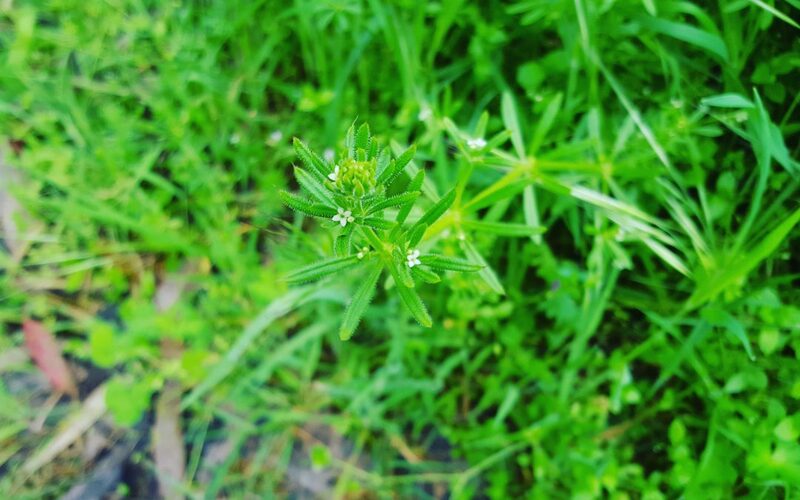 I made a short video about cleavers this morning whilst I was collecting it, click here to watch it. Get my newest book, Loving Yourself Inside & Out here. My first book Living a Life Less Toxic here. Or my second book, Cleanse – The Holistic Detox Program for Mind, Body and Soul here.